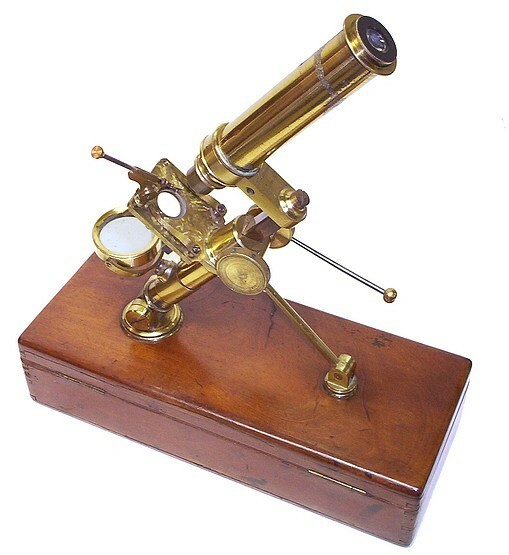 While this microscope has a coarse adjustment by rack and pinion, it lacks a formal fine adjustment. To make up for the lack of a fine adjustment, a long brass rod is attached to the pinion of the main focusing adjustment, effectively, increasing the radius of the pinion knob thus allowing it to turn more slowly than it would if the knobs were used directly. 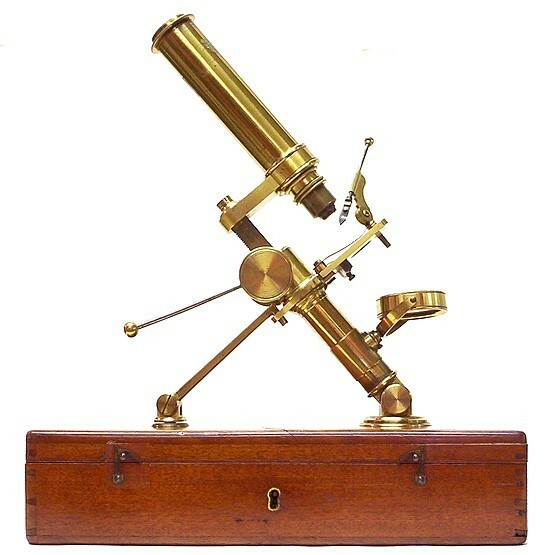 Instrument: Height overall 380; length body-tube 134. There has been the suggestion that there were two different William Matthews working in London during the second half of the 19th century. One firm was well known and worked out of Portugal/Carey Street, while the other worked out of Camden Road. Very little is known about the latter Matthews. 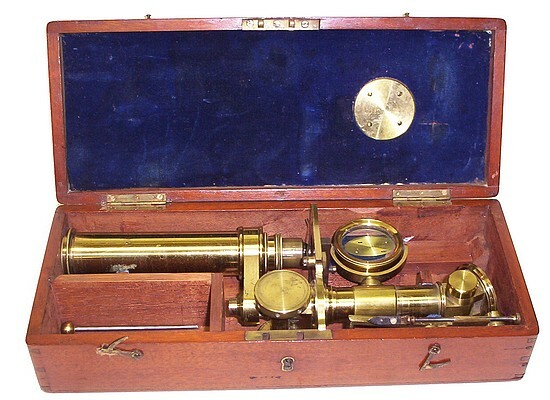 So far, the only known microscopes signed with the Camden Road address are of the case-mounted type, the one shown here and the one in the Science Museum.